The Chosen One gave us a taste on “The Hollywood Beatdown” — explaining how a late night recording session turned into a bangin’ new anthem … and why some of the biggest names in hip hop are getting involved. And he’s already got Snoop Dogg down for the remix!!!! Tyron also explains how he dislocated his thumb punching Till’s face at UFC 228 — but it won’t stop him from fighting Colby Covington at UFC 230 in November … if the paycheck’s right. Hell, Tyron says he’s even down to TRAIN Logan if he’s serious about trying to fight in the UFC. Who gets punched in the face this week? Watch and find out. 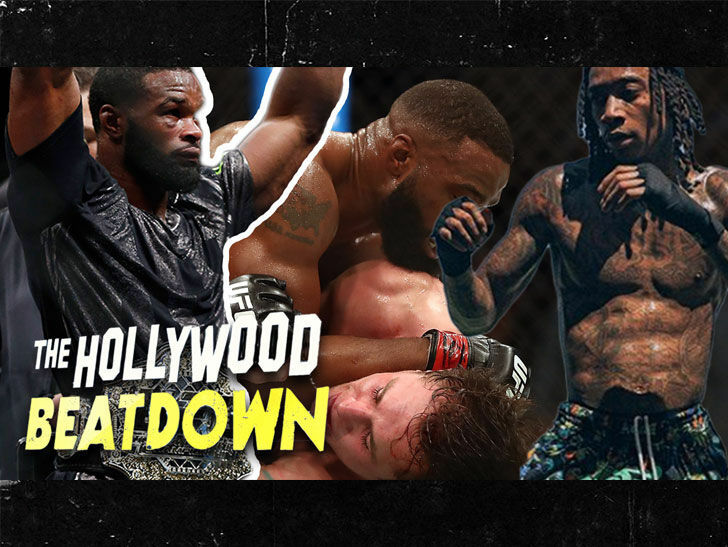 Check out “The Hollywood Beatdown” every Friday on the TMZ Sports YouTube page.